11/07 - (Michigan) - A 71-year-old Oakland County man is being accused of defrauding as many as 1,200 investors, many of them senior citizens, of up to $250 million. A lawsuit filed Tuesday in U.S. District Court by the Securities and Exchange Commission alleges that Edward P. May and his company E-M Management Co. LLC, raised between $74 million and $250 million by fraudulently selling securities through various companies between 1998 and July 2007. May told investors the companies were contracted to install and provide telecommunications equipment and services to major hotel chains and casinos, including establishments in Las Vegas. The deals involved investors in Michigan, California, Florida, Illinois, New York, Ohio and New Jersey. "Categorically, Ed May never dealt with elderly investors. He never dealt with elderly investors who didn't know what they were doing. They were sophisticated investors with substantial means," said May's attorney Ronald Gold, who has offices in Southfield. May and his company told investors that they would receive payments for 20 to 24 months soon after they invested. The SEC alleges in the suit that those representations were false. May and E-M relied on a network of individuals, some of whom organized investment seminars, to entice investors to invest through E-M. The SEC called the scheme a "brazen scam in which the defendants touted phony casino and resort deals, complete with bogus contracts and fictitious hotel executives, to cheat hundreds of investors out of millions of dollars." The SEC alleges that the companies did not have any telecommunication contracts with the establishments identified by May and E-M.
May and E-M provided investors copies of fictitious contracts, the SEC alleges. Some of these contracts included the names of purported hotel executives who did not exist. "One of the things that disturbed us ... is that a number of investors were seniors and elderly," said Peter Chan, assistant regional director of the SEC's Chicago regional office. "It is an outright scam, but one that had a very broad reach to different states and people," Chan said. The SEC is seeking a court order for May to repay the money, with interest, and a penalty. 03/08 - (South Carolina) - A Mason County-based investment manager cheated clients out of $21 million by promising mammoth returns while frittering away the money, federal authorities say. Ralph Gregory Gibbs, 56, of New Haven carried out the fraud through a financial firm called Golden Summit Group, according to a U.S. Securities and Exchange Commission news release Wednesday. Gibbs agreed to a securities-fraud settlement with the SEC and pleaded guilty to criminal charges filed by the U.S. attorney's office in Alexandria, Va., the SEC said. From April 2005 through February 2007, the SEC alleges, Gibbs collected the money from at least 150 investors in 25 states, including 15 West Virginians, promising monthly returns of 3 percent to 5 percent on their investments while guaranteeing their principal. Many of the clients were elderly or otherwise relied on limited incomes, the SEC said, and some cashed out their retirement savings or took out home-equity loans in order to fund their investments with Golden Summit. Gibbs was actually running a "Ponzi" scheme, creating the illusion of healthy returns by using new clients' investments to pay returns to longer-standing clients, the SEC said. Gibbs allegedly lied to investors about the nature of his investments, the risks involved, the use of investment proceeds, the source of the returns and his trading activities. Of the $21 million raised, Gibbs put about $8.1 million into a currency-trading account on the Foreign Exchange Market, losing more than $6.3 million of those investments. Another $2.9 million went to Gibbs' personal expenses, including the construction of a $1.14 million house in New Haven. Gibbs contacted the clients primarily through mail solicitation, but he also held investment meetings and made phone-call solicitations, said SEC spokeswoman Elaine Greenberg. Gibbs' settlement requires him to repay all the money, plus interest, which comes to $21,421,418. But his cash assets amount to just $4,142,493. A receiver has been appointed to liquidate the New Haven house as well as another house Gibbs owned and his other non-cash assets. As part of the settlement, Gibbs neither admitted nor denied the securities-fraud allegations. His guilty plea on criminal-fraud charges will likely draw him multiple years in prison, said Greenberg. U.S. Department of Justice officials couldn't be reached for comment on the possible sentence. 09/08 - (RIVERSIDE, Calif.) - Businessman Daniel W. Heath was sentenced Friday to 127 years in prison for running a $190 million investment scam that prosecutors said bilked many elderly investors of their life savings. Heath, 51, his father and a third man were found guilty of running a Ponzi scheme that funneled money from new investors to pay off people who previously provided money. The scam spread across half the country and cheated 1,800 people, prosecutors said. Heath and the other men were convicted on all but one of 400 charges that included fraud and money laundering. Heath received the maximum sentence in prison. His father, John Heath, 81, was sentenced in February to 28 years in prison. Prosecutors said the scam dated back to the early 1990s, with Daniel W. Heath & Associates promising clients their money would go into fixed investments with little or no risk. Instead, it went to money-losing real estate and small business projects controlled by the company that had offices across Southern California. Many of the investors were retirees who had trusted the company with life savings and retirement accounts. Some lost their homes. Investors have had some money returned, but a court-appointed receiver estimated they will get only about 22 cents on every dollar. 01/06- (New York) - A Point Lookout man who helped mastermind a $100-million investment fraud that was uncovered because of the terrorist attack on the World Trade Center, was sentenced Monday to eight years in federal prison for his role in the scheme. Justin Fauci, 36, was the last of nine people convicted in the case of Evergreen International Spot Trading to be sentenced in U.S. District Court in Brooklyn. The firm operated from the 15th floor of Tower Two in the World Trade Center and at other locations in Manhattan. When many of Evergreen's 1,400 investors sought to find out if their money was safe, or to withdraw their funds, after the destruction of the Twin Towers, the fraud scheme unraveled, according to federal prosecutors Cynthia Monaco and Matthew Levine. No employees were injured when the towers collapsed, but there was almost no money in Evergreen's accounts, prosecutors said. To its operators Evergreen was "just a money-raising and money-spending machine," prosecutor Monaco has said, noting that investors' "money was spent on bonuses, salaries, commissions, apartments, cars, expense accounts and well-appointed offices." Evergreen had promised investors 25 to 30 percent returns on short-term currency trades that came with so-called professional insurance that supposedly guaranteed against trading losses, according to the federal prosecutors. Evergreen was, in fact, a Ponzi scheme in which the operators did not engage in currency trading, but instead raked off millions to support posh lifestyles, prosecutors said. 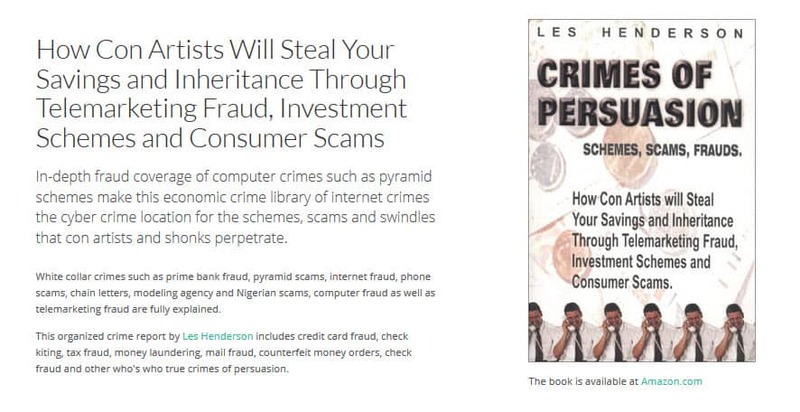 The scam included a network of other phony shell firms that were set up supposedly to serve as neutral custodians of investors funds, audit Evergreen's books and trade in European currency. Many of the victims were from Australia and New Zealand and used to dealing in various currencies. They were far enough away from the United States not to drop in on Evergreen's offices and succumbed to the firm's high-pressure, boiler-room tactics, which questioned victims as to whether they were sophisticated enough to deal with New York-style investing, prosecutors said. Victims could not be immediately reached for comment. Three others wanted in connection with the operation of Evergreen have fled the country and are believed to be in former Soviet Union republics, many of which do not allow the extradition of their citizens, the prosecutors said. One of the three, Mamed Mekhtiev of Brooklyn, left several suicide notes, but his body has never been found. Federal officials have said that the suicide was a hoax, and that Mekhtiev had withdrawn $91,000 from his bank account shortly before, the officials believe, he fled to his native Azerbaijan. The other fugitives are Andrei Koudachev, who set up Evergreen in 1997, and Sergei Habarov, who was identified as an investment adviser at a related company in Hungary. Mekh.tiev was sentenced in absentia to 17½ years in prison, while other defendants have gotten up to 12 years. Fauci, who made $1 million in the scheme, billed himself as the managing director of Evergreen; he pleaded guilty to conspiracy and mail fraud and was contrite before he was sentenced Monday by U.S. District Judge Carol Amon. "I'm not only sorry," Fauci said. "I'm ashamed and embarassed and disgusted with myself. My life was a big lie." Fauci's attorney, Norman Trabulus of Garden City, said of his client, "He is a flawed man ... not one of malevolence, [with an] addictive personality." Underscoring that point, the courtroom was filled with 70 of Fauci's supporters. One of them, Joe LoCascio of Brooklyn, said Fauci had become a good man. "We all make mistakes," said LoCascio.